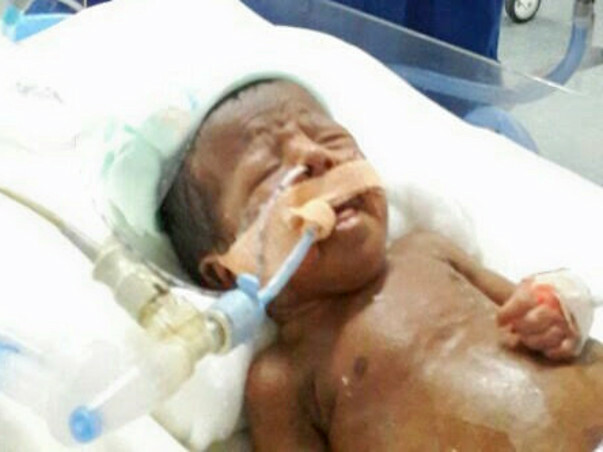 Asma's baby was born at 32-weeks weighing 2.6 Kgs. He has multiple medical issues because of premature birth including liver dysfunction, anemia, acute kidney injury and cardiac problems. He was on life-support ventilation for the initial days of his life and then moved to respiratory ventilation. Asma tested positive for H1N1 at the time of her baby's birth due to which both the mother and son suffered complications. The father/husband, Mohammad Hussain Alibaig is anxious about his family. He is doing everything to help his wife and son recover. With the help of friends and family, he has managed to pay over Rs. 8L but still needs Rs. 6L to save his son. 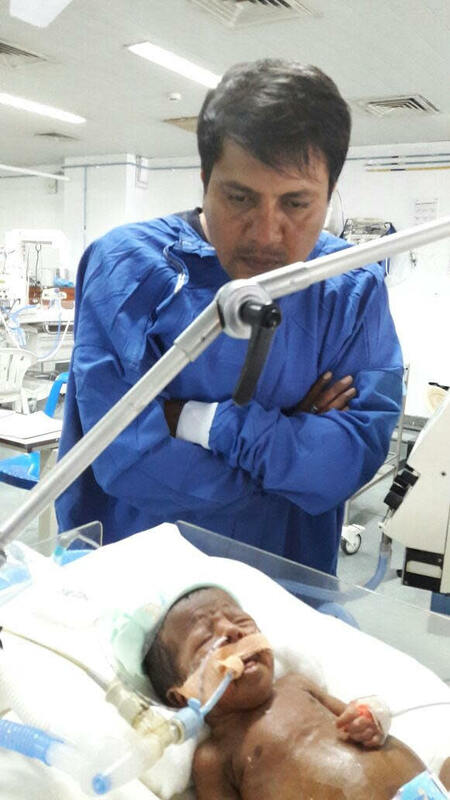 Baby of Asma needs to be in the NICU for a few more days until he completely recovers and goes home with his parents. Your contribution will save this baby's life. We have some unfortunate news to share. 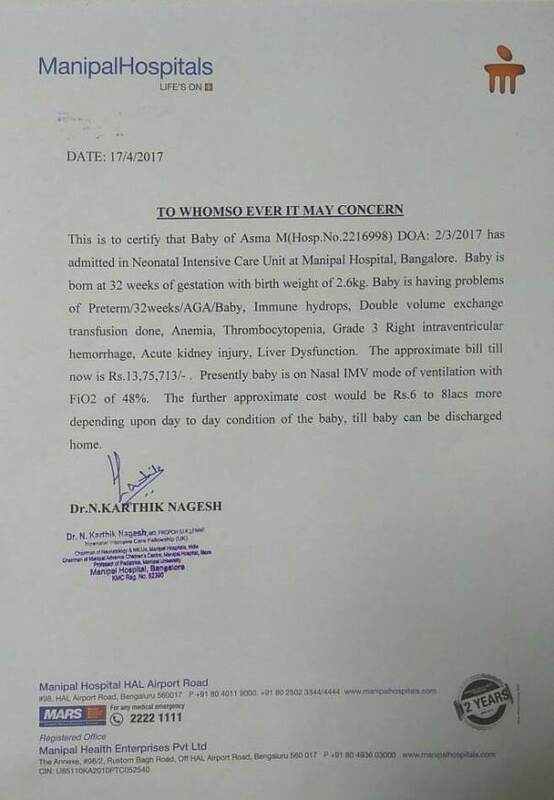 Asma's baby has passed away. Yesterday evening the family received a call from the doctor saying that his condition had suddenly become critical. The platelet count had reduced to below 5000 and the internal bleeding had started again. He was kept on 100% ventilator but his heartbeat kept on dropping. He passed away today morning at 8.15 am. The family is thankful for all the care and support that you have given them. We hope they find strength in this time of grief. May his soul find peace. Please keep the family in your prayers. 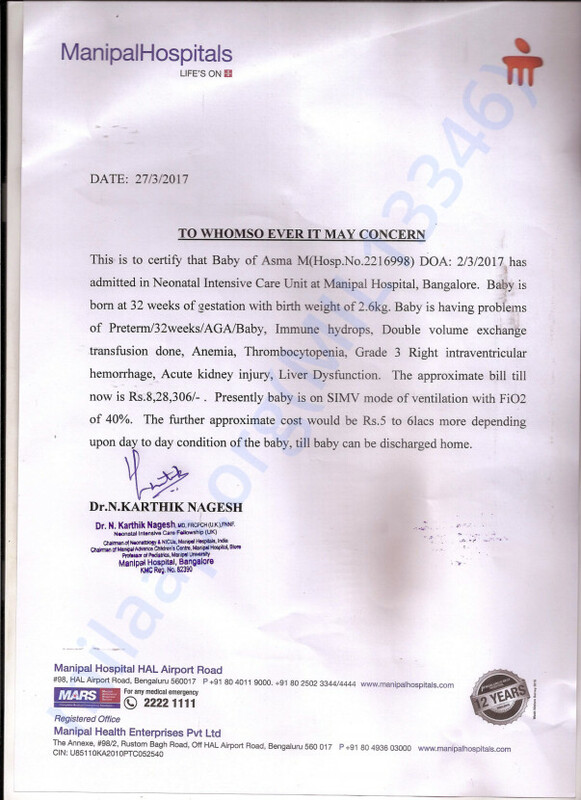 Here is an update on Asma's baby boy. He is stable on nasal ventilation right now. He was recovering well but suddenly developed a few infections. His stomach is bloated with fluids which are continuously being taken out. Also, he has developed liver jaundice and there has been a hardening of the muscles in his heart. 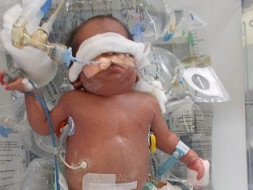 Because of jaundice, his RBC level is getting affected and the doctors had to transfer blood to keep the count stable. The treatment of these additional infections is quite costly and the family is running out of means to pay for it. Hence the target had to be increased to an additional 2L. Unless he is stable without ventilation, he cannot be discharged from the hospital. Fighting against all odds, the little boy has started showing improvements in his condition. He is yawning, sneezing and even moving his eyeballs. The nervous system movements are slowly starting. He is drinking 20-30ml milk every 2 hours as it might help him mature faster. Thank you so much for the support. Please pray for his recovery and continue to help this little one.